How to Freeze Parsley in 10 steps. 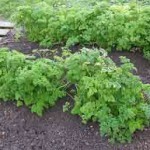 Parsley has grown well in this mild winter and it is worth clipping for freezing, to save it being lost in the frost. 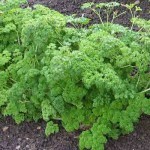 Parsley features in the How To Grow Culinary Herbs ebook produced by TopVeg and FarmingFriends. Freezing parsley now will preserve it for the winter. Frozen parsley is easily crushed to form small pieces; an ideal way to get chopped parsley!